Hi everyone, my name is Bethany from Our Love on the Run HERE. I have lived in Boston for 7 years now and next week will be my 6th time running the Boston Marathon. For those of you running Boston, congratulations and I hope to meet you! For those of you not running or those of you who have yet to qualify, be patient and know that you CAN do it. My first marathon was 4:54 and my second marathon was 4:58, yet I never doubted that I would someday qualify. My BQ time for this year was 3:29:13. Boston is a wonderful marathon and it truly is the people of Boston and surrounding communities that make this race so special. If you were to drive the course, you would see nothing more than boring roads, a few trains, houses and woods along the side of the road. However, when you run the course on Marathon Monday, you see nothing more than screaming fans from mile 1 to 26. Boston comes to a complete standstill for this race, there are TV commercials encouraging people to come out and support the runners, there are banners in the streets, complete strangers wishing you luck and oh yeah, it’s a state holiday!! Patriot’s Day (remembering the infamous ride of Paul Revere (but hey, don’t forget about William Dawes and Samuel Prescott who also made the journey)) is better known as “Marathon Monday” here in Massachusetts. For those of you who don’t know, The Boston Marathon is very special to me and my fiancé, Ryan. We got engaged in Hopkinton just outside Athlete’s Village. Expo- Be prepared to big crowds with a lot of stop and go traffic. The expo is always packed, try to go at off times if you can and don’t forget to check back Sunday as the expo comes to a close for some discounts and markdowns! At the expo there is a WONDERFUL course preview video that will take you through each mile of the race. It’s narrated by marathon legends and I dare you to watch it without getting a little teary-eyed! Weather- I would recommend throw-away clothes! The weather in New England is always changing and 50 degrees here just never seems as warm as 50 degrees somewhere else! Also, keep in mind the grass in Athlete’s Village will most likely be wet so if you plan on laying down, you might want to bring an old Mylar blanket or trash bag. There is about a 10-15 min walk from where you check your bag to the start line. We have a saying here in New England about the weather, if you don’t like it, wait a minute.” It’s true, the weather here changes fast! Bag check/start line- the bag check system is pretty good in Boston. There are TONS of yellow school buses lined up and you just go up to the window with your bib number on it and give the volunteer your bag. Volunteers are on the bus to take your bags and then hand them back to you at the finish. The start line can be a little congested, sometimes the corrals do not seem big enough, one year I had to cut through someone’s back yard and another year I had to stand outside of my corral and wait til we started moving to squeeze in. If you want to be in your correct corral, make sure you have plenty of time to get there. Also, there are more bathrooms at the start (I’d say 60+ potties). Don’t pee in the woods until the race has already started. Cops will call you out of the woods on their loud speakers, “Sir in the yellow shorts, turn around and step out of the woods.” No joke, I’ve seen it happen! Also, several residents have taken pictures of runners peeing in their back yards and sent them to local newspapers/news stations. The Course-My best advice is to go out at your own pace. The first few miles are downhill and everyone goes out way too fast! This year I am in corral 3 of wave 2 but I have decided that I will move back a few corrals. One year I was in corral 2 of wave 2 and it was a pushing match with people tripping and falling and my first mile was WAY TOO fast but I had to go with the flow or I’d get trampled. Take it easy on the early downhill stretch, there are lots of downhill sections later on and you’ll want to have fresh legs for that. Everyone always worries about the late hills in Boston and there are a few but nothing to worry about if you are well trained. Don’t get me wrong, there are several rolling hills throughout the course but if you have trained on hills you will be FINE. If you have not trained on hills then you may find it harder but you will still be FINE. I just want to point out that every year I’ve run this marathon the hills have gotten smaller and smaller. The first year I ran however, I thought it was HILLY but now not so bad, so I guess it depends what your training was like. The course is pretty much a straight shot the whole way. At mile 17 you will run past a T stop (we call our subway stops “T stops”), there will be thousands of people here, a little ways up you will come to the Newton Fire station and you will take a hard right (the first turn of the race!) 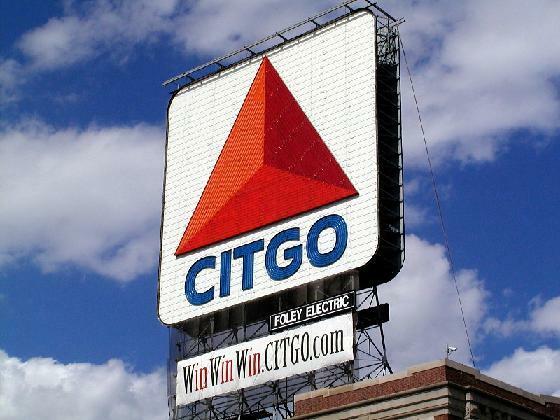 Once you make this turn you are on Commonwealth Ave and now you are officially heading towards the city of Boston. Comm Ave is also where the “dreaded” hills are located. There are 3 hills on this street that will increase your breathing and make you work a little bit harder but nothing to lose sleep about. Just after you make that right turn onto Comm Ave there will be the first of 3 hills. In my opinion, this hill is the steepest and most challenging. Everyone worries about Heart Break Hill (HBH), but remember, it’s named “Heart Break Hill” for historical purposes, NOT because it is horrendous and will break your heart. Once you reach the top of HBH the worst is over! There is a webcam somewhere on HBH with a live feed so you can tell your friends and family to watch for you. At the top of HBH you will be close to Boston College’s campus. Once you get to BC if you look off in the distance to the right a little bit, you will see the Prudential Center and John Hancock Tower (where the finish line is!). Personally, I love looking to see those buildings, but some people feel it’s too much of a tease. Running by BC is fun, everyone is drunk and you can smell the beer as you run by. If you walk in this section be prepared to have about 20 drunk college kids yelling at you to start running again (not in a bad way though, they’ll cheer for you once you start up again). This year there is supposed to be a beer stop located somewhere near BC. The Finish- take a Mylar blanket even if you don’t feel you need one, Boylston Street is a WIND TUNNEL. You do have to walk a bit to get your food bag, water and medal so you’ll be happy to have that blanket before getting your checked bag. If you need the med tent, it’s to the right. Definitely wear your medal out to dinner that night, you might get a free drink, dessert or a standing O as you enter the restaurant. Spectators- GOOD LUCK. Keep in mind that the T is SLOW. If you take the T to try and see your runner you will most likely MISS THEM. You can take the Green Line D Train to the “Woodland T Stop” (the one I told you about at mile 17) but be prepared for a CROWDED and slooow train ride. Also, by the time you get back to the finish you may not be able to get right up to the guard rail to see your runner. If you do take the D line to Woodland Station, get off train, see your runner and then immediately turn around and get back on the next train. Do not take the C line to catch your runner at Cleveland Circle or Coolidge Corner and do not take the B line to try to catch your runner at Boston College. If you do this, you will not make it to the finish line in time. If you only want to see them in one place along he course then fine, but know that if you take the C or B line out, you will not make it back to finish line in time. FYI- Copely (pronounced cop-ly, not cope-ly) station will be closed for the day, it’s better to get off at Hynes. The finish area is strictly blocked off with guard rails, police and the National Guard. This isn’t like other marathons where you can cut across the street. Be patient and give yourself plenty of time! Boston-TONS to see all within 1-2 miles! TONS of history here! Boston is SMALL! You can walk pretty much everywhere and there is always something to see. I recommend a Duck Tour (make reservations in advance) and I recommend going to the Sky Walk (on top of Prudential Center) for a chance to see the ENTIRE city! Duck Tours are about $32 but fun and you’ll see everything with a humorous tour guide and the Sky Walk, I believe, is $12. Be sure to visit the finish line prior to race day to get some extra excitement and motivation for race day! I hope you find this helpful!!! Best of luck to everyone! Please feel free to send me an email at bbertrand@vzw.blackberry.net if you have any more questions. Thanks Bethany for this Amazing Insiders View to Boston and THANK YOU for being my amazing hostess starting Saturday!! This post is a great Forum for people to ask Questions about Boston and post thoughts about the Marathon, spectating the Marathon, experiences good or bad, etc.. Comment Away folks!! Will you be there racing, spectating, etc?? Please let me know!! I will be solo, yell my name and I will flash my dimples at the camera..
Wow. I'm not even going and I am excited just from reading this post! Good luck to all who are. Thanks Mel and Bethany. This was so so helpful. See you soon, can't wait. I so enjoyed this bird's eye view to Boston. I do hope that I can one day get there myself. I'll be cheering and hoping great things for you Mel! Go Mel, Go! GREAT post! I'm excited and I'm not even going! So jealous - it makes me want to run a marathon . . . Hope you ALL have a great time meeting and running! Great review Bethany! I have another tip if people are interested - we live 20 minutes from Hopkinton, and when hubby ran Boston 2 yrs ago, we went over to the starting line the day before to take pics, as I knew there was no way to even attempt this on race day. There was a cop right at the starting line, stopping traffic so you could run out and pose on the "START" line for a photo. There were also a few vendors, including people selling Marathon apparel. It seems like this is a hidden gem, since there was virtually NO ONE there! Good luck to Bethany, Mel, and all the other runners! I'm not running Boston, but just reading this gets me excited and reminds me of running NYC! Good luck to everyone running on Monday! This is such a great post and I'm not even going. I now feel like I can picture it all. Good luck everyone!! All great tips! I've seen the race as a spectator for four years ('04-'08) and it's all true! HOLY CRAP!!! tears and chills! i'm SO, SO, SO excited!!! Mel, i'll see you TOMORROW!!!!!!!!!!!!!!!!!!!!!!! Good Luck at Boston!!! I must agree with everyone I'm not running Boston (but doing a half on Sunday) and I'm excited for you and pumped for myself now!!! Have a great day!! THANK YOU BETHANY! this was so helpful! wow. 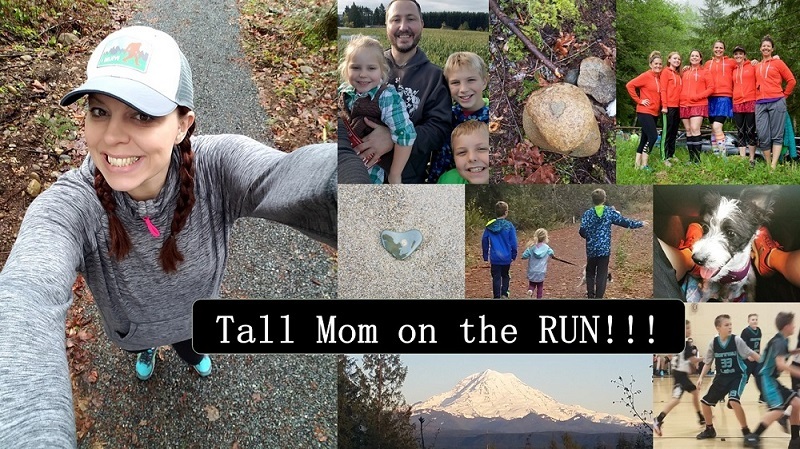 i've pretty much convinced myself i'm not cut out to run a marathon (let alone Boston), but this post SO made me want to be there and to do it. how exciting. what an awesome experience! !